Dr. Amal Al-Shunnar is an Emirati Consultant IVF, OB/GYN and co-founder of Fakih IVF with over 20 years of experience in her field. After completing her training in IVF and Infertility in the UK and Ireland, Dr. Al-Shunnar returned to the UAE and worked in the Obstetrics and Gynaecology department of Al Wasl Hospital before joining her family's practice, Al Shunnar Polyclinic in 2003 as a Consultant IVF, OB/GYN. At this time, she also began working with Dr. Michael Fakih at Dr. Fakih Gynaecology and Obstetrics Centre before they together opened Fakih IVF Dubai in 2011. Membership: Membership of the Royal College of Obstetricians and Gynaecologists. 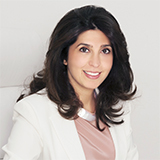 Education: Dr. Amal obtained her Medical Degree from the Royal College of Surgeons in Ireland and trained in some of the most prestigious medical hospitals in Europe, the Hammersmith Hospital in London and Rotunda Hospital in Dublin. After obtaining her Membership of the Royal College of Obstetricians and Gynaecologists (MRCOG), she completed her fellowship in Reproductive Endocrinology in London and is certified in Advanced Gynaecological Endoscopy. Awards: In 2013, Women in Leadership Middle East named Dr. Al-Shunnar the Most Innovative Female Entrepreneur. Languages Spoken: Arabic, English, Hindi, Urdu.